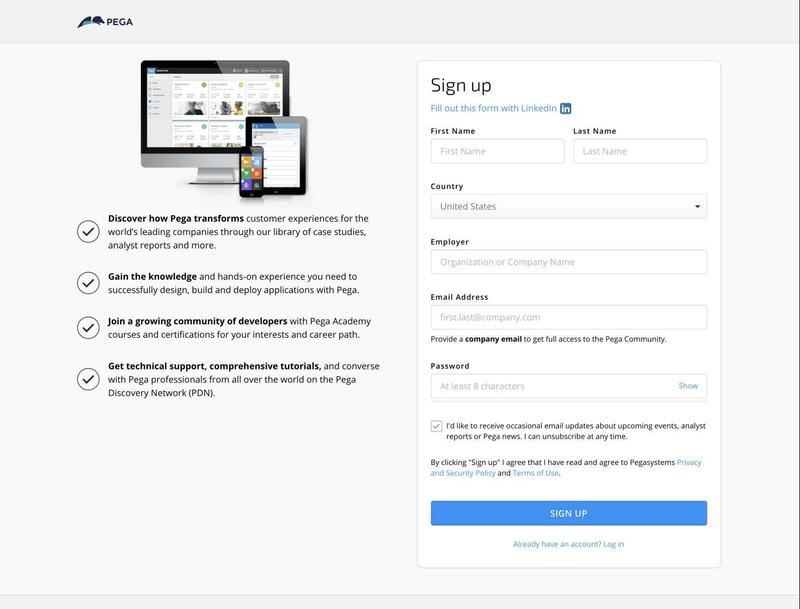 Oversaw the effort to design federated single sign on and registration across all Pega websites, including much of the initial design work. Upon launch, new registrations increased by 15%, while account-related customer service calls reduced by almost 50%. 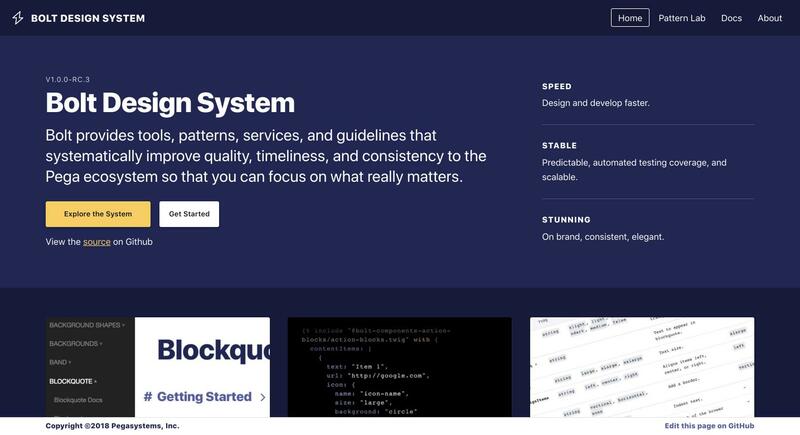 Evangelized and oversaw the creation of the Bolt Digital Design System, which is currently being rolled out across two of Pega's flagship websites, Pega.com and the Pega Discovery Network (PDN). Led the effort to redesign Pega's community functionality and migrate the Product Support community from an internal server to the Pega Discovery Network (PDN). Since moving to the new space, traffic to the Support community continues to grow, and the Global Support Team saved over $1,000,000 in 2016. Grew the UX team from a single designer to 5+ UX professionals with expertise in design, front-end development, information architecture, product management and user research. 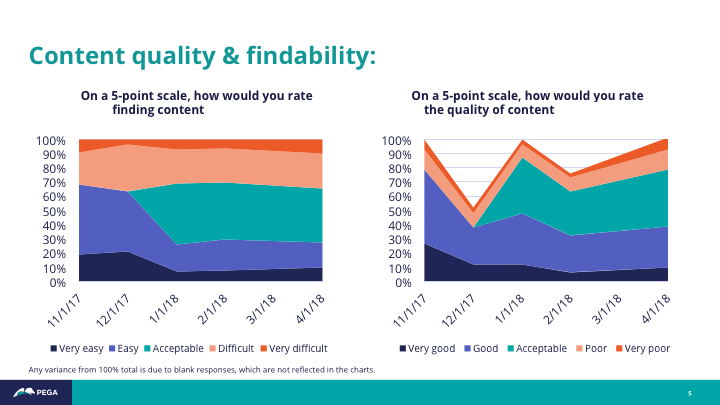 Regularly consulted with executives across the organization, including those at the C-level, to demonstrate how user-centered principles impact strategically important Digital projects. Instituted regular user feedback and validation via usability testing, monthly user feedback surveys and interview studies. 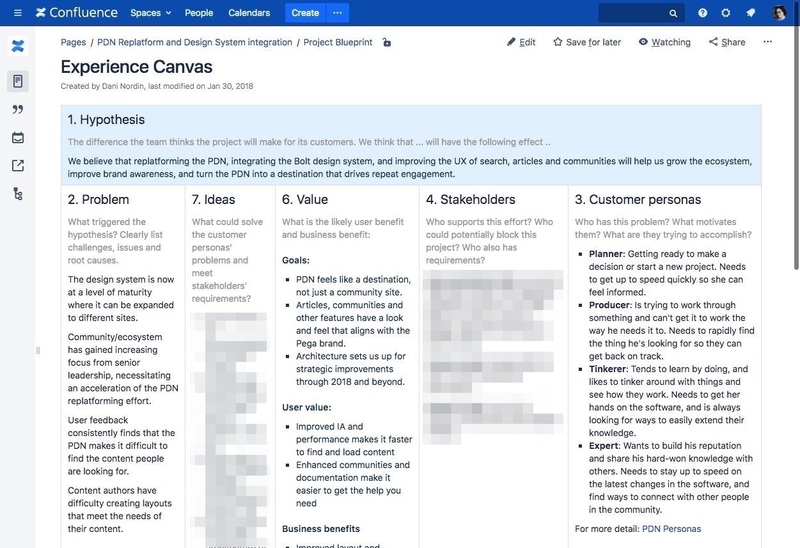 I worked with organizations around the company to institute a series of lean user research techniques to help benchmark the UX effectiveness of Pega's Digital experiences.